We think we’ve discovered the best chocolate brownies ever and, better still, they’re super simple and use store cupboard ingredients so you can whip some up anytime! 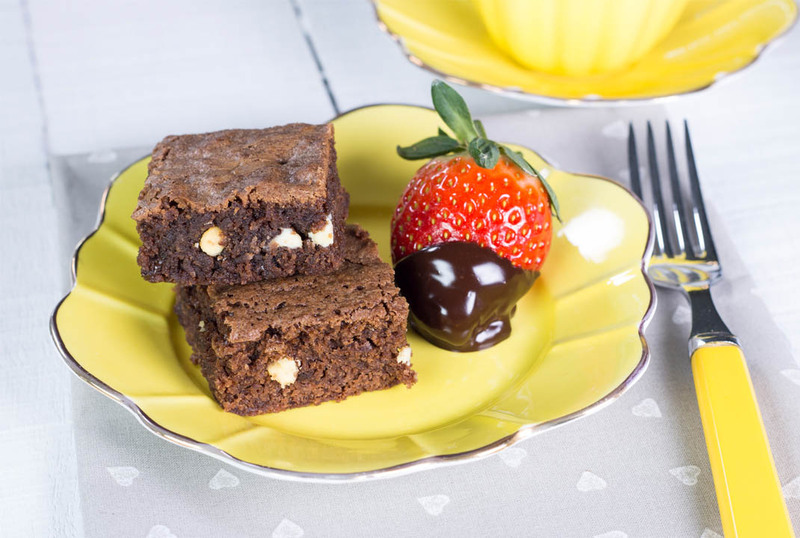 By using Mellow Yellow Cold Pressed Rapeseed Oil, we’ve made this brownie mixture really quick so they just require mixing together in your bowl and baking. Next thing, you’ll have a delicious and indulgent treat that any chocoholic will love. 9inch/23cm square baking tin - 8 inch works too, the brownies are just a little thicker. 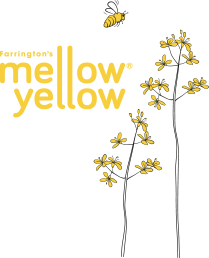 Grease your baking tin with Mellow Yellow Rapeseed Oil and line with baking parchment. Sieve the cocoa powder, flour, salt and baking powder into a bowl and mix well. In a separate bowl place the sugar, eggs, vanilla extract and Mellow Yellow Rapeseed Oil, and mix thoroughly. Pour the dry ingredients into the wet mixture, add the chocolate chips (optional) and mix well. Pour the mixture into the tin and bake for 20-25 minutes. We cook ours for 23 minutes, but it depends on how squidgy you like them, if you over cook the mixture it will be more cake like. Cool on a wire rack.